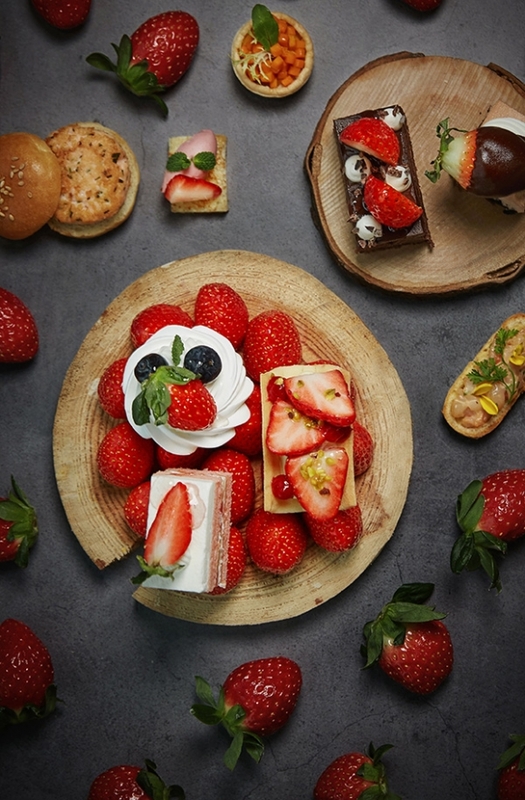 Park Hyatt Busan’s Lounge is pleased to present two special strawberry menus using high-sugar-content, fresh strawberries in season with a savory flavor starting from 3 January. First, the “Strawberry Afternoon Tea Set,” full of sweet strawberry flavors and colorful desserts, will be served, including strawberry shortcakes filled with whipped cream and strawberries, strawberry and berry pavlova, crispy and soft inside, strawberry tarts made with fresh strawberries, strawberry cheesecake with a deep cheese flavor, and moist and sweet strawberry chocolate cake. It also offers a variety of freshly baked homemade scones, including mini salmon burgers, crab salad eclairs, strawberry brioche tarts, and asparagus and shrimp sandwiches. The “Strawberry Afternoon Tea Set” is available from 2 PM to 6 PM and priced at KRW 65,000 for two people (including taxes). In addition, a variety of strawberry drinks are also offered, including “Strawberry Latte,” a mixture of fresh strawberries and soft milk, “Strawberry Ade,” with a deep flavor of fresh strawberries, and “Strawberry & Cream,” delivering the taste of sweet whipped cream and strawberries at the same time. These strawberry drinks, which allow guests of all ages to enjoy fresh strawberries according to their tastes, are available from 10 AM to midnight, and prices start at KRW 17,500 (including tax).